Housing Politics: Where does each party stand? It’s certainly an interesting political time in the UK at the moment. One issue which remains indisputably at the forefront of national concern, regardless of any other factors, is the ongoing and increasingly urgent need for a sustainable housing provision. Given the current political uncertainty, I thought it would be an interesting exercise to explore where each of the main parties stood in their recent manifestos in relation to housing and whether their views on housing were as widely varied as the overall political environment currently is. Conservatives committed to building ‘fixed-term’ council houses which would be sold privately after 10-15 years with automatic right to buy for tenants while Labour, Lib Dem and the Greens all stated that they would seek to suspend the right to buy incentive. The right to buy scheme has been controversial from the outset; supporters state that it allows aspirational working class individuals the opportunity to own their home and improve their financial situation but opponents state that it leads to a distortion in house prices, contributing to the housing crisis. 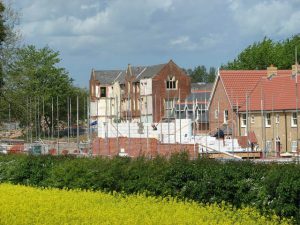 All of the main parties, with the exception of the SNP and Plaid Cymru, set out numbers in their plans to build more homes. The Tories pledged 1 million homes by the end of 2020 and 500,000 more by the end of 2022 with 160,000 houses on Government owned land. The Lib Dems pledged a similar number with a target of 300,000 each year. They are however also looking to create 10 new garden cities in England. Labour pledge to build at least 100,000 council and housing association homes per year but the Green party only pledged 100,000 new social rented homes by 2022. It remains to be seen how many of the pledges will come to fruition. However, it is positive that all parties have placed solving the housing crisis at the forefront of their manifestos and should serve as some reassurance that, no matter how, when or by whom the alleged ‘coalition of chaos is formed’, housing should remain at the top of the agenda for the foreseeable future. Next Post How do I get 5% reduced VAT rate for my conversion?